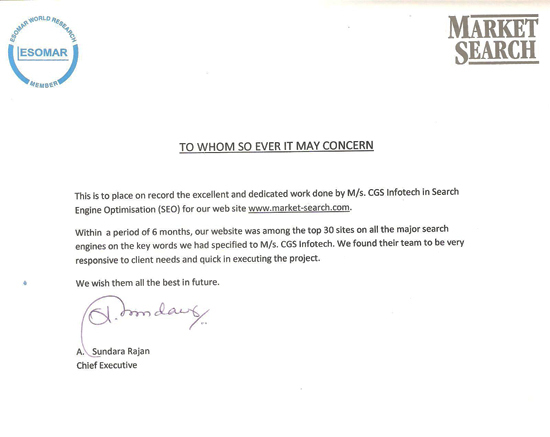 Market Search India Pvt. Ltd. is a full service market research firm. - Feedback Letter.